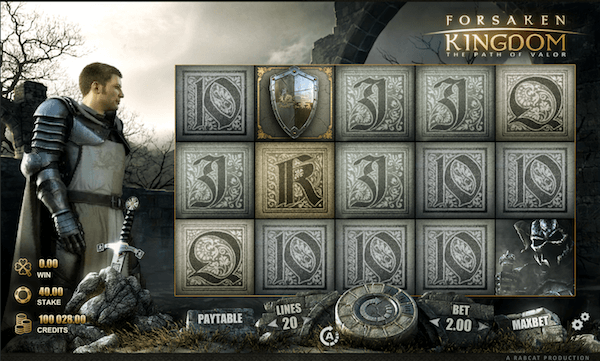 Forsaken Kingdom is an Arthurian-themed video pokie that runs on the Rabcat software platform. The game comes with an epic theme inspired by the legend of King Arthur. It features bold 3D graphics which recreate the ancient medieval period. The characters within the medieval literature appear in the game, this includes King Arthur and Lady Guinevere who takes the symbol of an ever expanding wild. The other icons that bring out this theme such as Camelot and the sword, these serve as important symbols. The game adopts amazing 3D graphics with a dark and brooding atmosphere to offer the best gameplay around. It will undoubtedly find fans that love its medieval theme. Play With Up To $800 Free Now! >> Play Now! 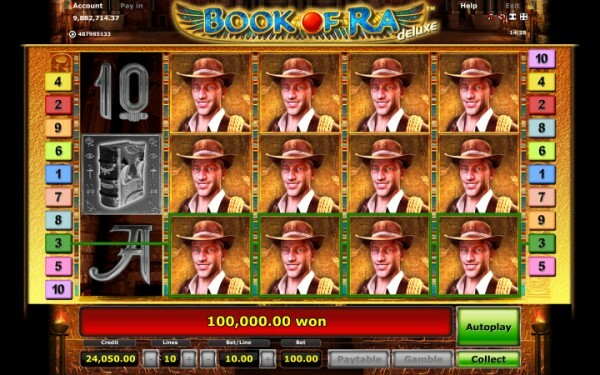 This pokie features 5 reels, 20 pay-lines and 3 rows of symbols. The playing panel has medieval settings and symbols that trigger special features. Lady Guinevere is the main wild symbol on the reels, other wild stacks are available on the reels to further increase wins. It is always wise to look out for Guinevere on reel 3 to have best wins. The game allows a betting range of up to $2 per line, this gives a spinning range of up to $40. The standard Rabcat playing option give you a chance for a super-fast play. The option to gamble after win is however not present with the extremely fast game. The Round Table is a symbol that is marked with a multiplier. The table spins and when it stops, one is awarded value shown according to the value of the total stake. To get this symbol, you have to fill all the spaces between two shield symbols on the reels. 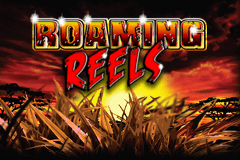 There is also a free spins bonus awarded by landing a minimum of three shield symbols at any place in view. The King will then pull a sword from the stone in front of him to reveal about five to twelve more spins. There is no multiplier for the wins here, however the spins can also be retriggered. Other cool symbols include the Epic battle bonus and the Eternal love bonus. The maximum payout at Forsaken Kingdom pokie is $40,000. This comes with 2,000 coins for 5 on its line. However, there is a big gap between the top paying symbol and the biggest prize that follows it. The next paying line after the 2,000 coins is 200 coins for 4 followed by 200 coins for 5. However with several easy winning combinations, it is easy to achieve wins with this game. Forsaken kingdom is a top quality game that comes with superb 3D graphics and excellent sound effects. King Arthur will be cheering you every time you make a win. Lots of bonus features that include the Round Table make this game really worth checking out. Rabcat pokies are available at casinos that cooperate with Quickfire, as they are the exclusive content provider for the company. 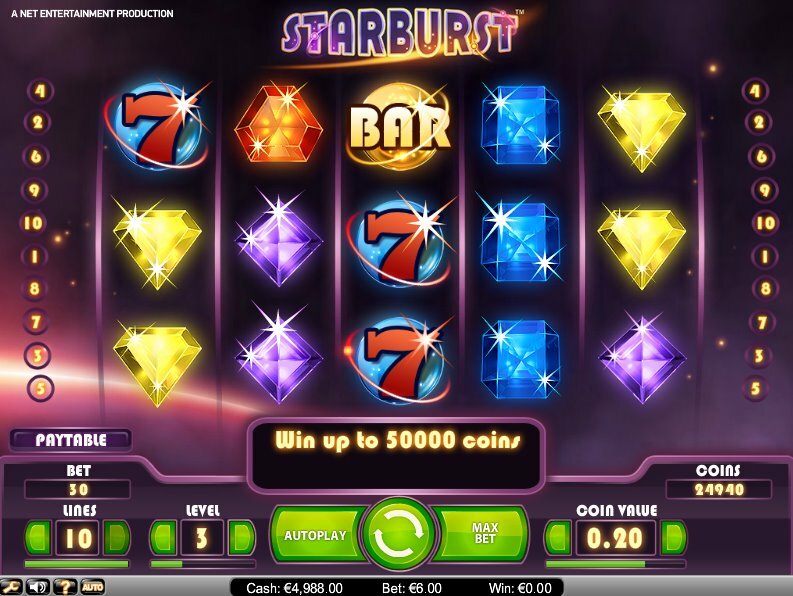 While there are many brands like this, we recommend playing at Casino Luck for a number of reasons. First, You’ll be able to play in $AU and $NZ, which is essential to avoid currency exchange fees and value fluctuation problems. Second, they offer more than 650 games in single to use platform. You really won’t need to join another casino site, as all major game developers and providers are on board, under one roof.